This fixed-width website design with mobile site is based on a blue monochromatic color scheme punctuated by dark legal grays. It features an animated banner for quick access to relevant information from the home page. 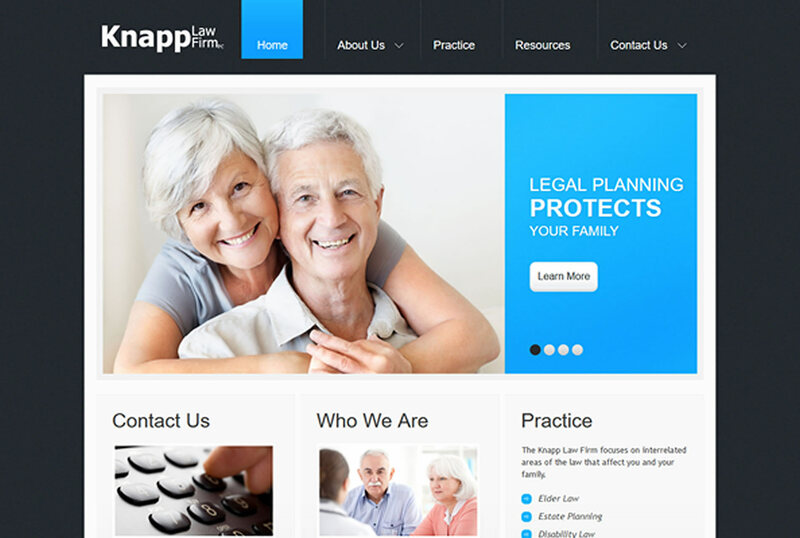 The site contains an interactive blog with articles on legal issues relating to elder law arranged by date, category and tags. A search form allows for quick access to individual subjects. A Content Management System allows for in-house updates.